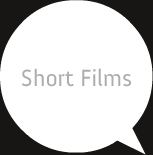 Short Films based on a particular event or a particular subject can give an insight to the audience and make them aware of the consequences and purpose. This involves animated graphics, narration with facts and figures. Hence this can be an eye opener on that particular subject. You've heard of animations done using Flash, but a Feature length film? That's what Epoch studio has done! We have done two feature films one is “Peter Pan” and “Sunny the Proud Sikh”.